THIS IS A REVIEW OF OUR HOTEL 45 STAY. I DO NOT OWN NOR WORK FOR SAID HOTEL. LISTED BELOW ARE THE CONTACT INFO FOR HOTEL 45. THANK YOU. 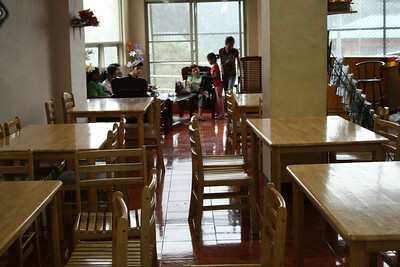 Where to stay in Baguio is not a problem. There are many rooms for rent, transient homes, inns, and hotels there. 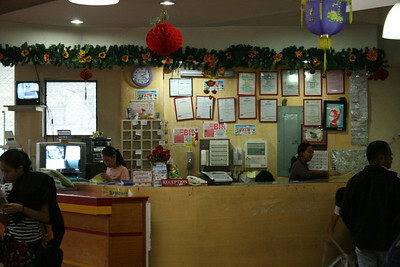 Depending on your budget and requirements, you can expect to pay as little as P500/person or as much as P5,000/room. 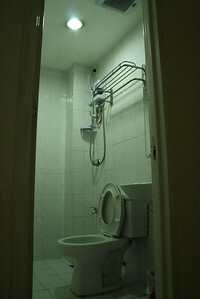 But if there is only two or three of you, a transient home may not be your accommodation solution. Although most require around P500/person only, most houses are good for four-six people and they'd require that you pay for the minimum number of people. And if you don't have plans of cooking your food yourself, stoves and pots and pans aren't really amenities you should be paying for. Anyway, hubs' engineers often stayed at Hotel 45. The older one is just along Session Road but this new one is nearer SM (as in walking distance) and just behind Bloomfield Hotel. We didn't reserve any rooms and just inquired at the desk. 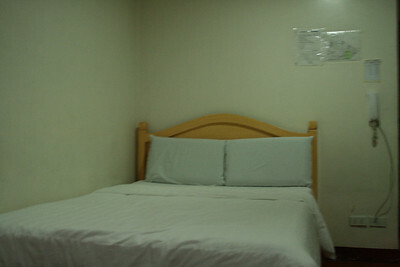 The smallest/cheapest available is the Family Room (good for three) at P1,600/night. I got upset with the staff of Hotel 45 when we were checking in because they said we needed to wait for an hour since they were still cleaning the room. That was okay with us (since most hotels check-in time is really 2:00 PM)... but we ended up waiting for the room at their lobby for more than two hours! Turned out, they only have one cleaning crew and a lot of people checked out at lunch time. Given that we were so tired from the journey to Baguio, I was really hopping mad that the Manager did not have the wisdom to get more people to help clean the rooms, and that the staff was so delusional in their judgment. We could have used the time to check out other hotels and got to rest much earlier. But that was the only glitch. Our room t Hotel 45 was clean and inviting. We never used the aircon though and just opened the window a little and used the electric fan to have the cool Baguio air circulate in the room. There was also hot water (for bathing) and we were provided with towels, toothpaste, toothbrushes and soap. There's also cable TV. 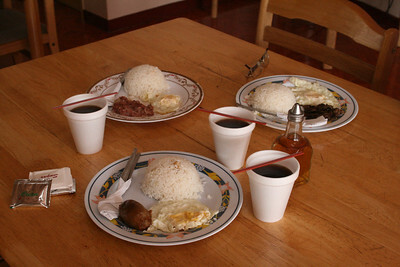 Hotel 45's rates are already inclusive of breakfast, which is the tapsilog kind (choices include tapa, ham, longganisa, corned beef, hotdog and one other) and coffee. If ever you stay here. make sure you sample their longganisa which hubs really loved. 45 Hotel is one of the best in Baguio and affordable, I was once foolish it have check in Supreme Hotel only to find out I was rob of several day of stay if I was in 45 Hotel. thanks for the information.. I'm planning to visit Baguio in a few months and I am looking for a reliable hotel that suits my budget..
Hi may i know the check in and check out time of hotel45? thanks! Good day! Im VINCENT from Teletech Marketing Communication Inc.. We are the Marketing arm of Hotel Supreme in Baguio City. I just wanna invite you in our promotion..
Two (2) nights complimentary overnight stay in a Family Deluxe room good for a maximum persons. Children below are allowed free of charge as long as sharing rooms with adults/parents. 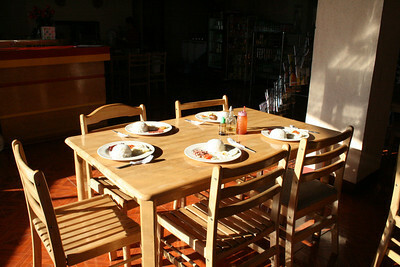 Inclusive set of breakfast for to persons only on the first voucher. 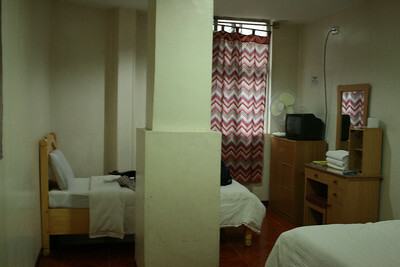 An additional fee of P350 for an extra person sharing in the same room. A 50% discount on room rates for all types of rooms for the period June 15 to October 14. A 30% discount on room rates for all types of rooms for the period October 15 to June 15. A 10% discount on room rates for all types of rooms during Holidays based in Holiday Tariff Rates. An additional P700 for an upgrade to the next category room. A 10% discount on the total food and beverage in the Hotel’s restaurant upon presentation of membership card. Free parking for in-house guest. Free driver’s quarters for in-house guest. Free wireless internet access for in-house guest. Free usage of swimming pool. Vouchers have to be presented during check-in. Prior reservations are required and subject to space availability. “No show Policy”. Complimentary certificates will be forfeited if card does not show up --upon bookings prior advice to Hotel or Teletech. Complimentary Vouchers are not valid for corporate meetings, convention and other promotion. TELE TECH MARKETING COMMUNICATION INC. Stayed at this hotel in March 2010. 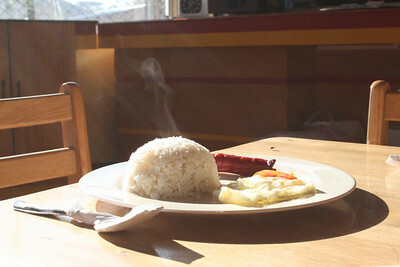 We were accommodated as early as 6:00AM! Room rate was 1,300/night for 3 persons. Very good location.